The last few years have been huge for the mattress industry. 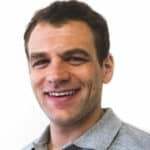 Dozens of new online mattress companies are dramatically re-shaping the industry. With so many direct-to-consumer online options available, it’s as difficult to know the best option online as it is in store. Casper vs. Leesa – Who will be #1?! Two of the most talked about options are the Casper and the Leesa mattresses. Both are hybrid foam mattresses, both have a great price point, and both have exceptional reviews. But there are important differences, so with that said, let’s dive in! Casper uses 4 foam layers. The top layer is a 1.5 inches of responsive poly foam. The second layer is 1.5 inches of memory foam. The third layer is 1.5 inches of poly foam. The bottom layer is a 5 inch support foam base. 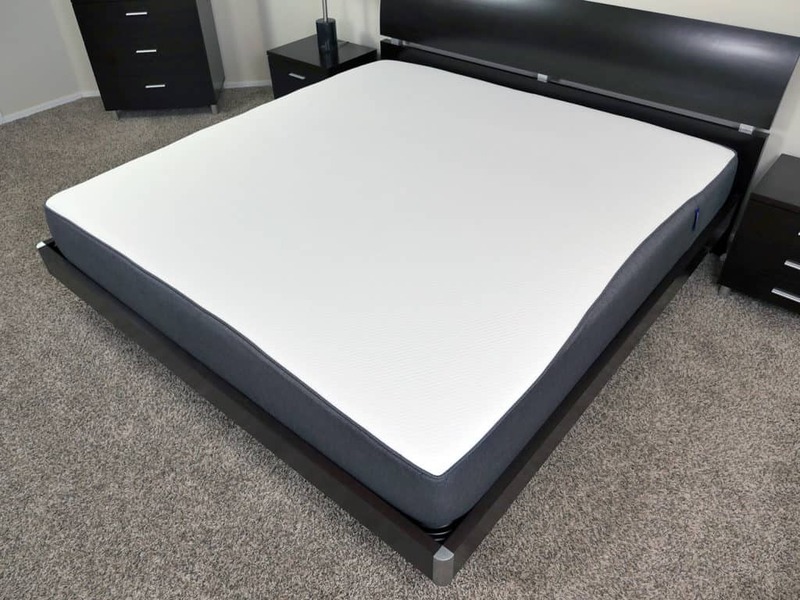 The top layer of responsive poly foam is ideal for providing airflow and cooling throughout the night, which helps prevent the mattress from sleeping too hot. 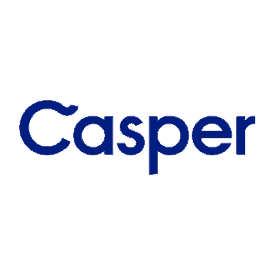 Over the last 2 years I’ve slept on my Casper for several months (the original version, their re-designed version that launched May, 2016, and their most recent re-design iteration, which launched in January, 2017) and never once felt like it slept any hotter than my old innerspring mattress. Leesa uses 3 foam layers. The top layer is 2 inches of Avena foam. 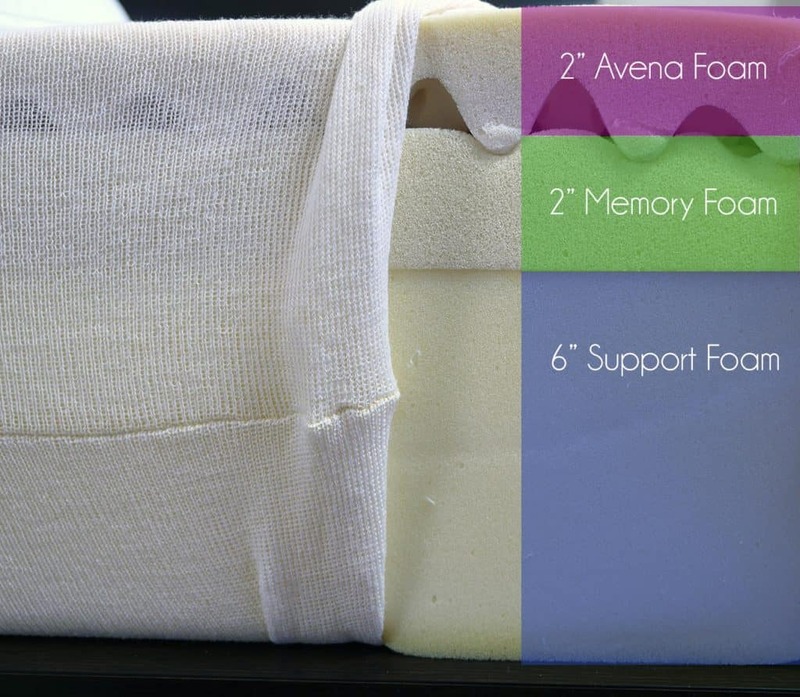 Avena foam is a latex foam alternative and is designed to feel and sleep just like latex. 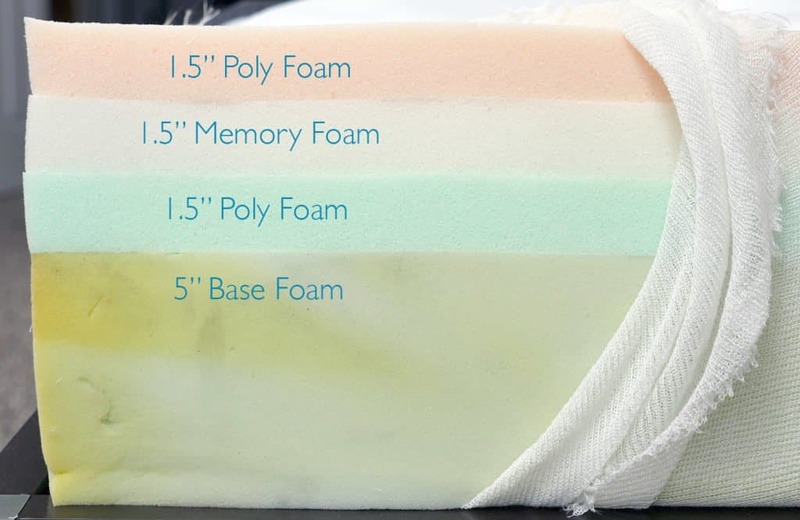 However, Avena foam does provide better durability than latex foam (read our Avena vs. Latex comparison post here for more information). The middle layer is 2 inches of memory foam. The bottom layer is a 6 inch support foam base. Leesa’s top layer of Avena foam is designed to provide cooling and airflow throughout the night, so the mattress doesn’t “sleep hot”. Like the Casper, I never felt like the Leesa slept hot in the slightest. After sleeping several months on each mattress I would say both mattresses are fairly comparable in terms of cooling. I haven’t felt like they are any hotter than any innerspring mattress I’ve slept on. 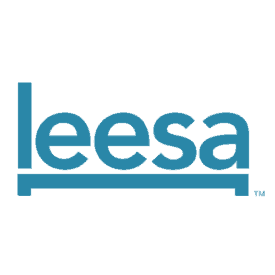 The cover is not something that’s particularly important from a pure functionality standpoint. However, it does make a nice statement about each mattress. Casper has gone with a more subtle and traditional cover. The cover is 2-tone, with all white on top and grey around the sides. The white piece of fabric on top is fairly thin, stretchy, and porous. It is made from 100% polyester. This makes it great from a breathability and cooling perspective, however, I would caution you to be careful when moving the mattress. Leesa’s cover utilizes a bold 4-bar design. The cover is cut from a single piece of fabric and woven together so it’s almost entirely seamless. 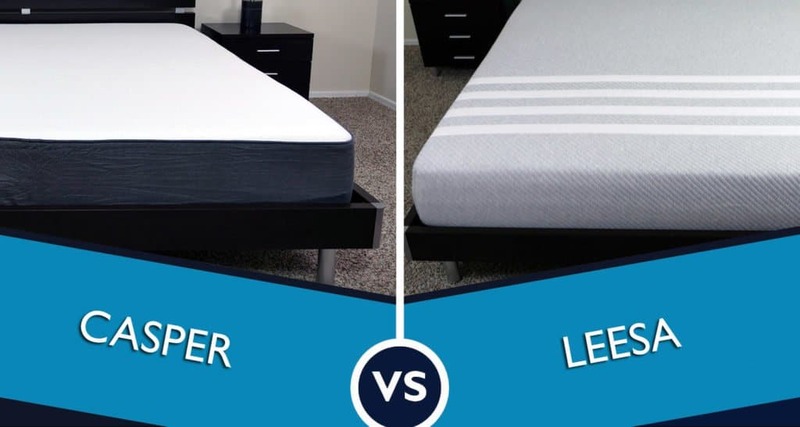 Leesa’s cover is quite unique compared to most other mattresses in its seamless construction and design. I really love the aesthetic design of the Leesa. Leesa’s cover is built from a blend of polyester and Lycra. Polyester provides great durability, protecting the Leesa from damage, while the Lycra provides exceptional stretch, moisture wicking, and breathability. Lycra is the same material they use to make performance sports clothing. While thinner than more traditional quilted covers, the Leesa cover is a good bit thicker than Casper. The added thickness gives it a more durable feel and gives me more confidence in its long term durability. In terms of firmness, both mattresses are very similar. Casper comes in at a 6 out of 10 on the firmness scale. Leesa also comes in at a 6 out of 10 on the firmness scale. 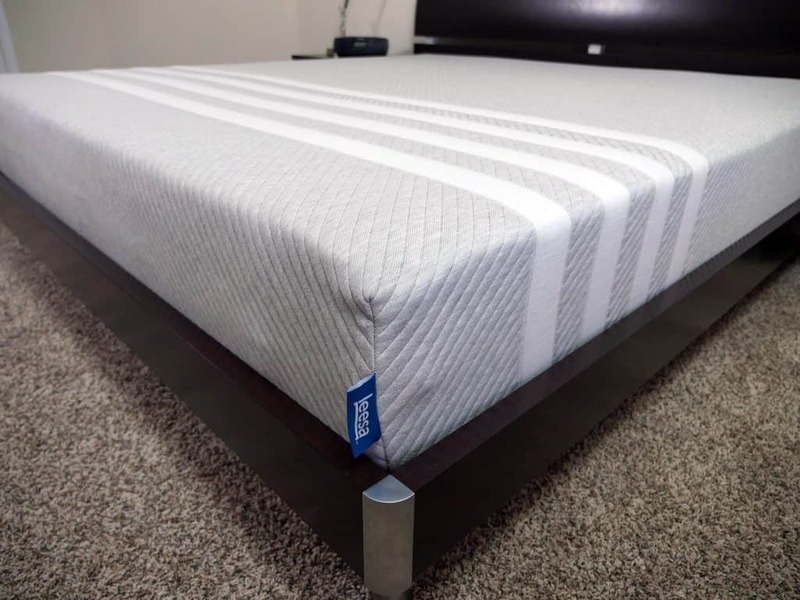 Heavier sleepers may find the Casper closer to a 6.5-7 firmness, as the thinner comfort layers allow heavier sleepers to sink more into the firmer 1.5″ poly foam and base poly foam layers. While lying down on the Casper and Leesa, I found that the Casper’s sinkage on my back and side were a god bit deeper. During my tests and measurements I found about 2.5” – 3.5”of sinkage on the Casper and 2.0” – 2.25” on the Leesa. These differences in sinkage also lead to a different feel overall. 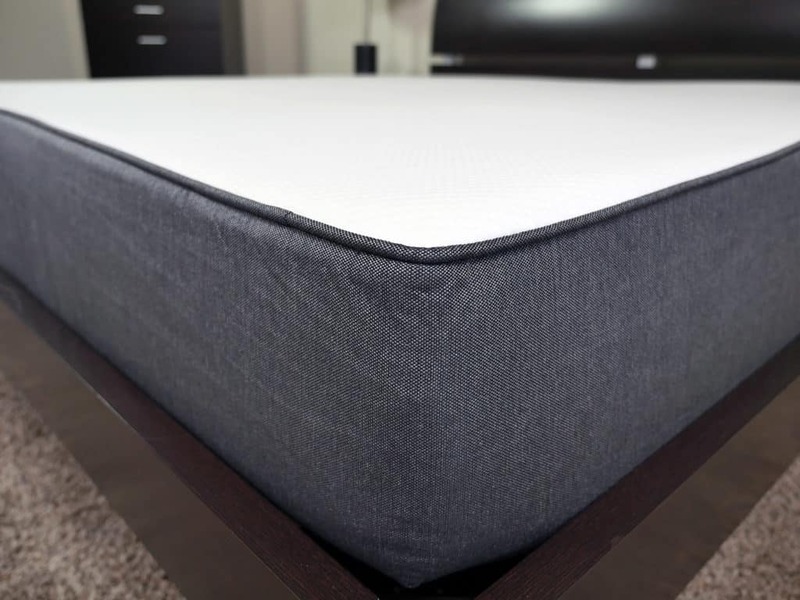 “The Casper’s sleep surface is universally comfortable — it contours to your body to relieve pressure while retaining a healthy bounce and cool temperature. As with most foam mattresses, motion transfer is extremely minor. My wife and I slept on the Casper and Leesa for several months, at no time during the night have I ever felt her move around, and generally I don’t even feel her get out of bed in the middle of the night. 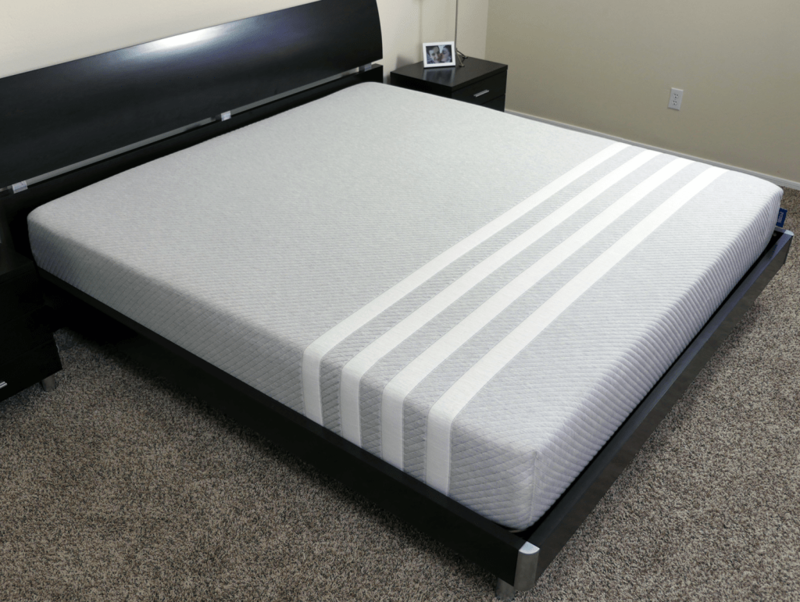 Both mattresses perform similarly with regards to motion transfer. Both mattresses are about the same in terms of price. Visit Leesa.com for more information on the Leesa. Visit Casper on Amazon for more information on the Casper. Great Review! Thanks for trying each mattress for a reasonable length of time so you got the true feel of it! Like your honesty.